The Flowers is the most northerly of all the scheduled salmon rivers in Labrador. Fish begin to enter the river in early to mid July and continue to come, based on water conditions, well into September. The Flowers also boasts some of the largest salmon in Labrador. Guests commonly release salmon in the 20 pound class and there will be thirty pounders in pretty much every pool on the river. We haven’t landed one yet, but there are anglers who claim, and even swear to the fact, that they’ve hooked fish in the forty pound class, but can’t hang on to them. Unlike many in Labrador, the Flowers is a very low gradient, slow moving river for the most part. It is an ideal fishery for new anglers who don’t have a lot of wading experience, or for elderly fishermen, who may not be quite as steady on their feet as they once were, but still love to wade. The river, under most flows, is gin clear. In many of the pools, you will be able to see the fish and I challenge everyone to try and not pull too quickly when you see a twenty pounder leave the bottom mouth open and head for your dry fly! We have divided the river’s some 25 named pools into beats and, upon arrival at the camp, you will be given a pool schedule that will outline the weekly rotation. 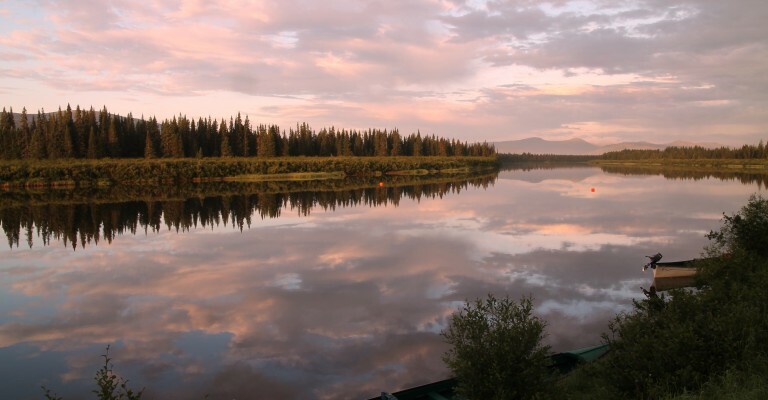 Most beats are available by canoe and you will depart after breakfast with your guide. Some beats will be close enough to the lodge to allow guests to return for lunch and others might want to have a lunch packed to go so that they can stay out for the day. 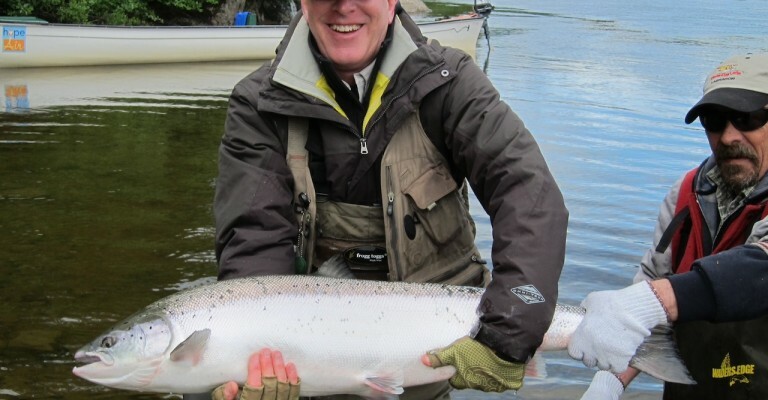 Previous owners of the Flowers River Lodge began the practice of 100 percent catch and release. We applaud their forward-thinking and have carried on that tradition. If you have salmon for dinner one evening, it will have been raised in a closed containment land-based facility, which poses no threat to the environment or any stock of wild Atlantic Salmon.